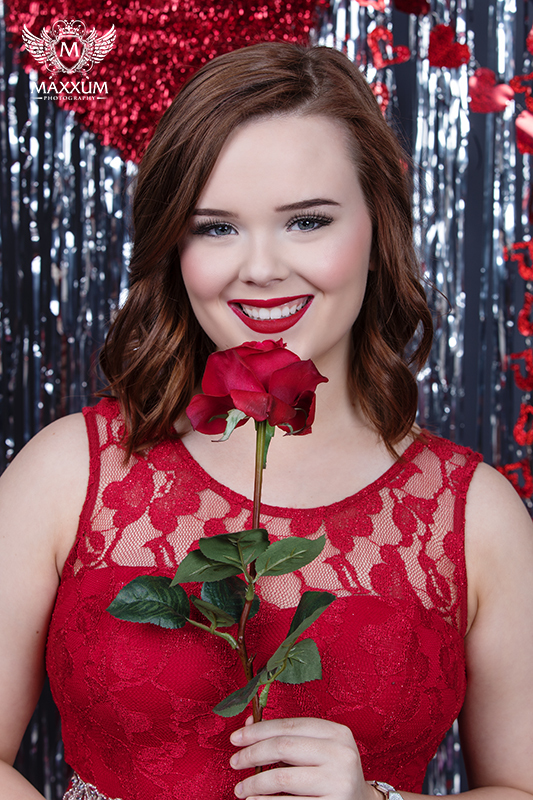 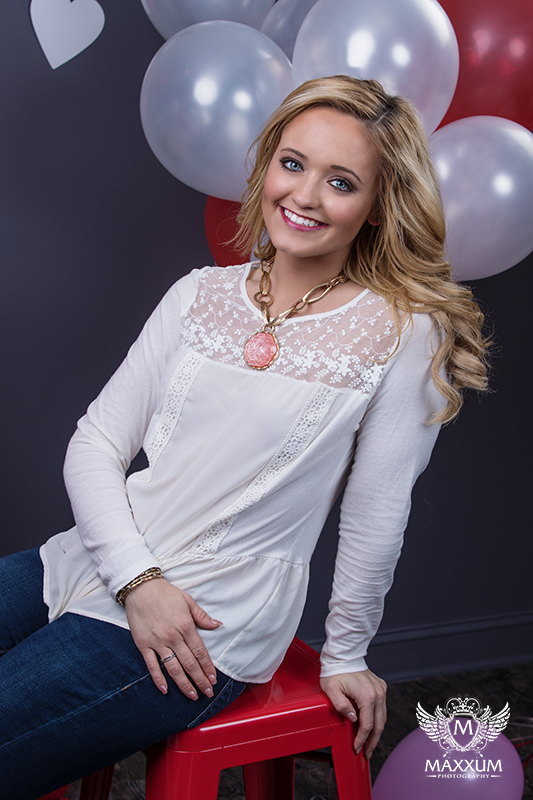 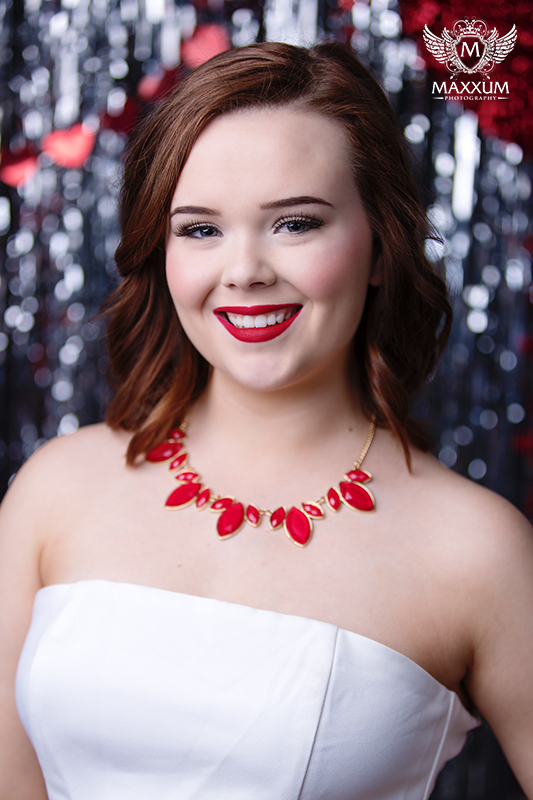 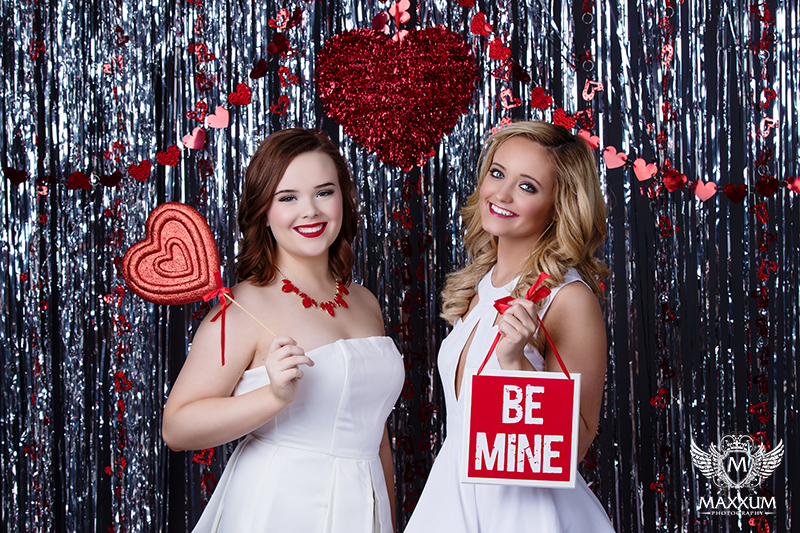 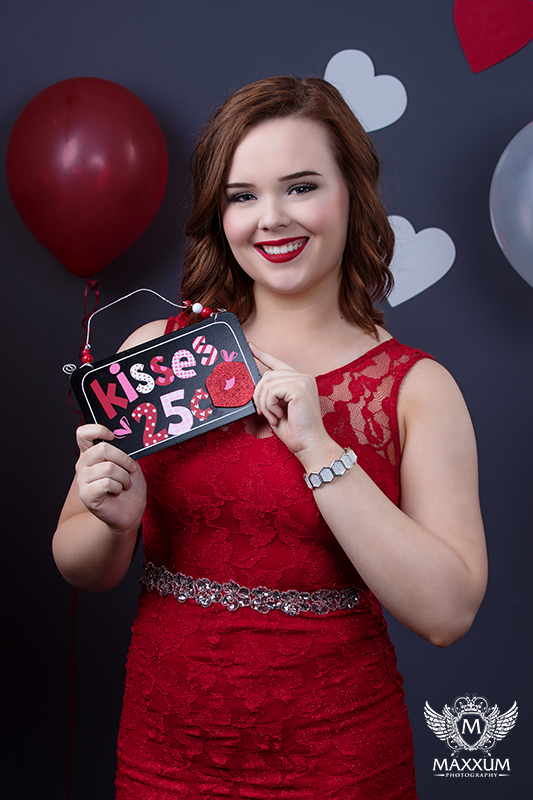 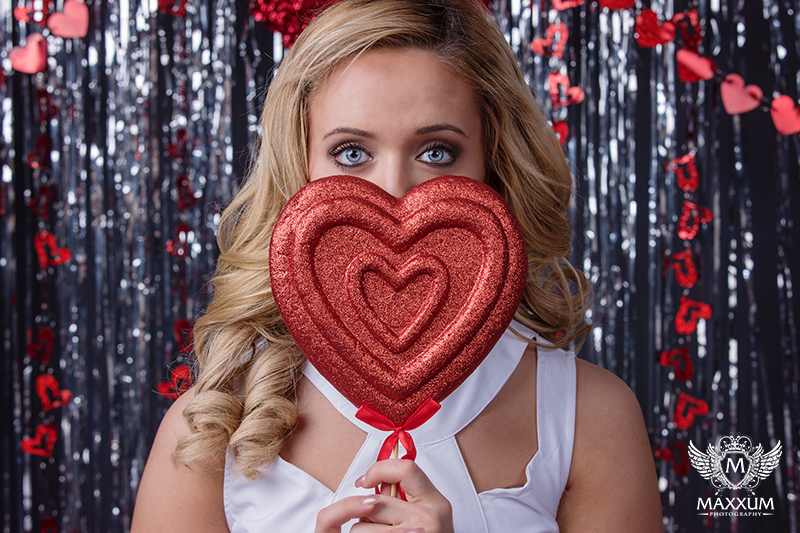 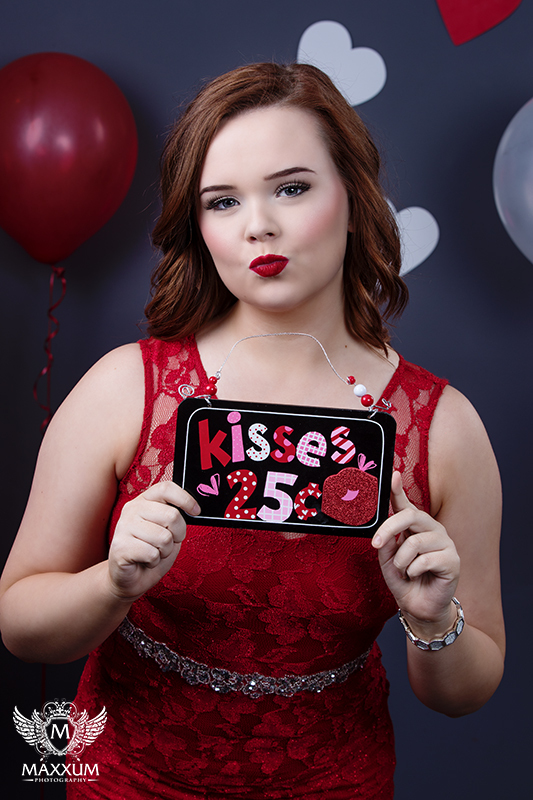 Our latest creative photo shoot with some of our Senior Model Team members was completed this past weekend and it was our first time for a Valentine’s Day theme. 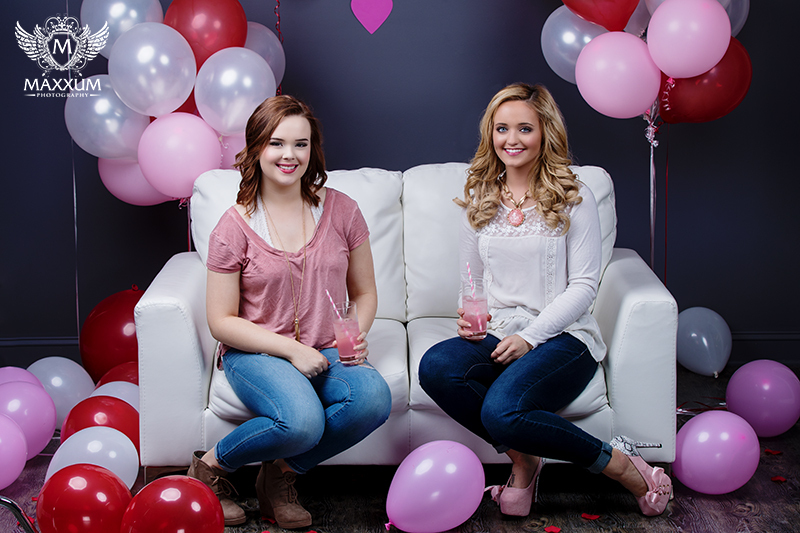 Bailey and Hailee, from Maxxum Team ’17. 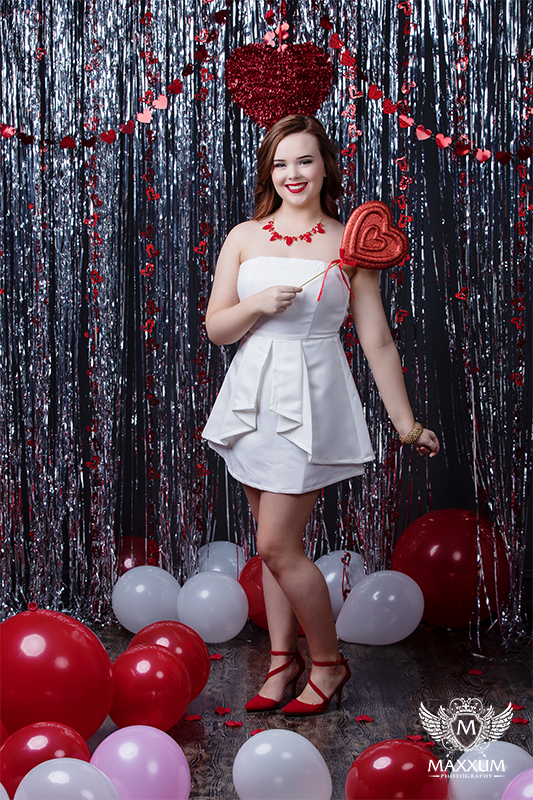 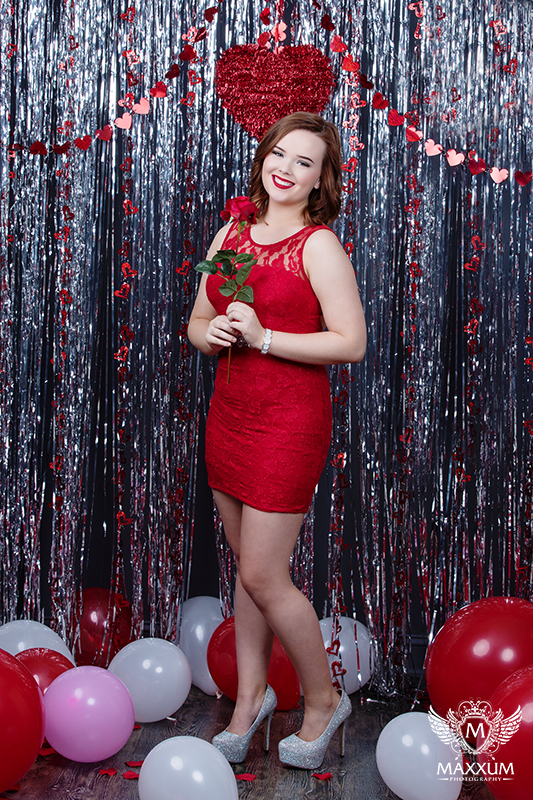 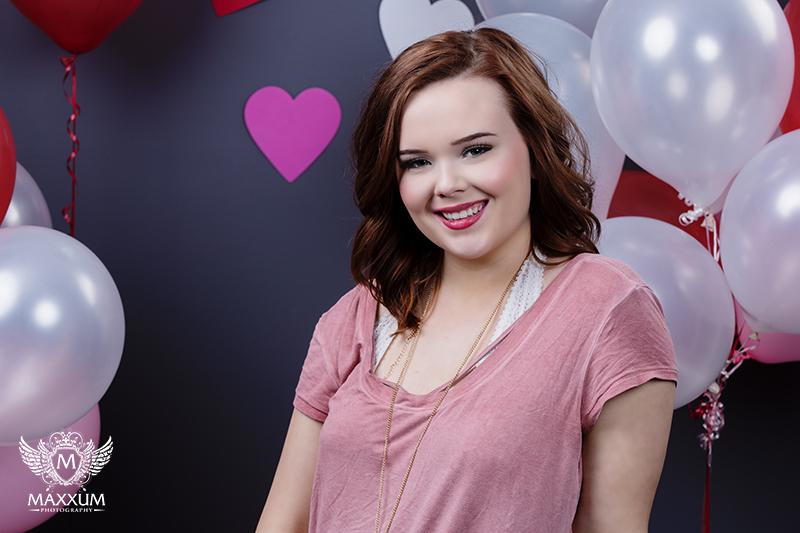 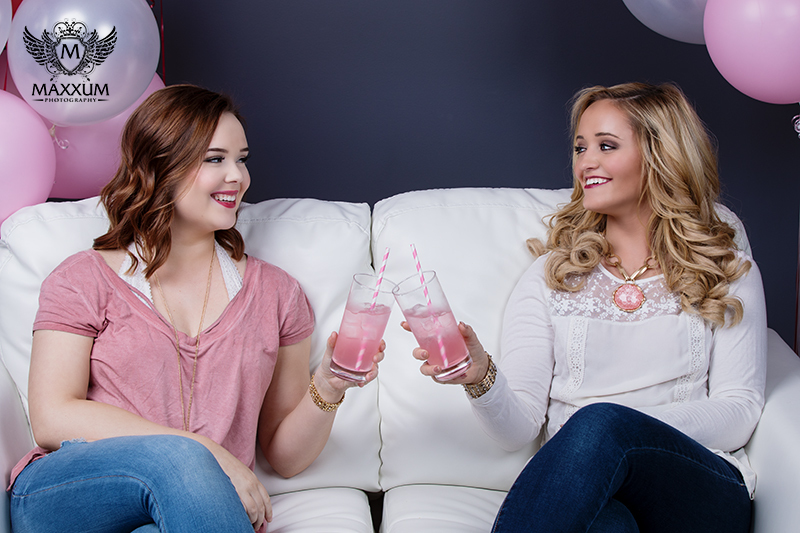 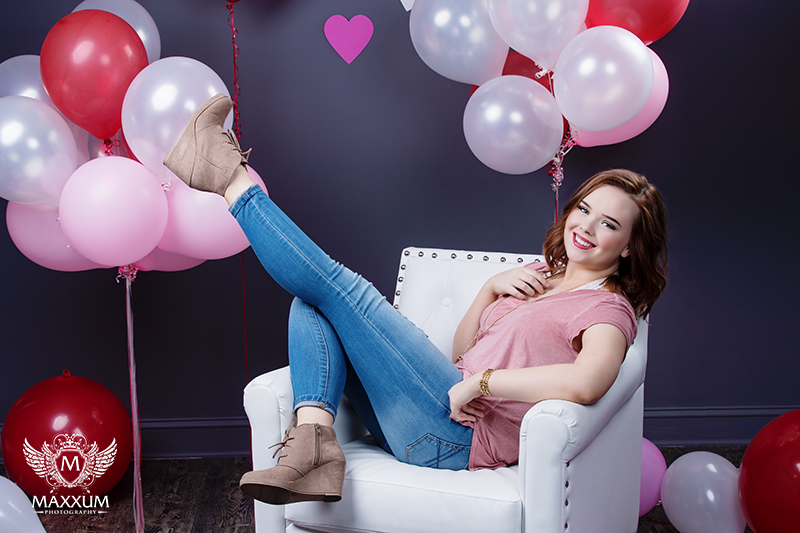 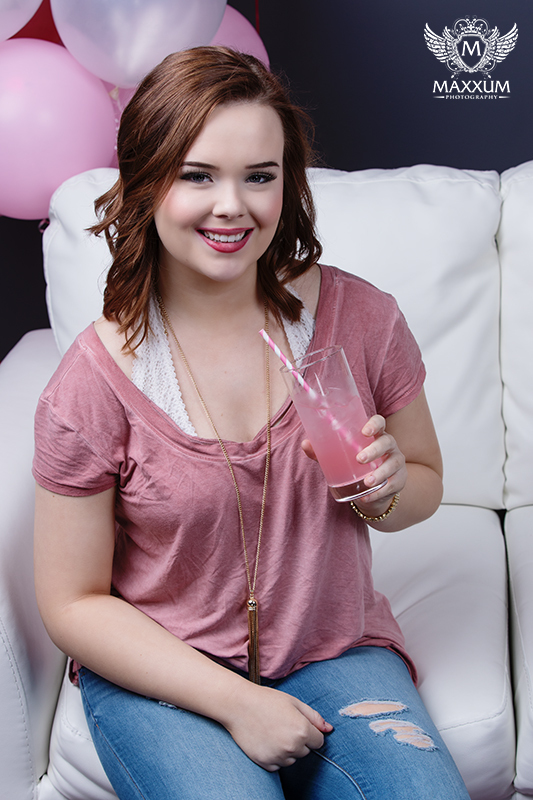 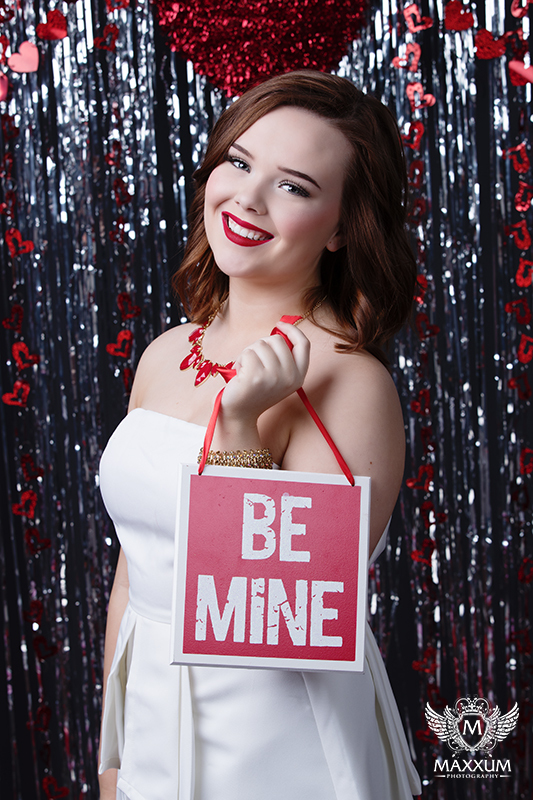 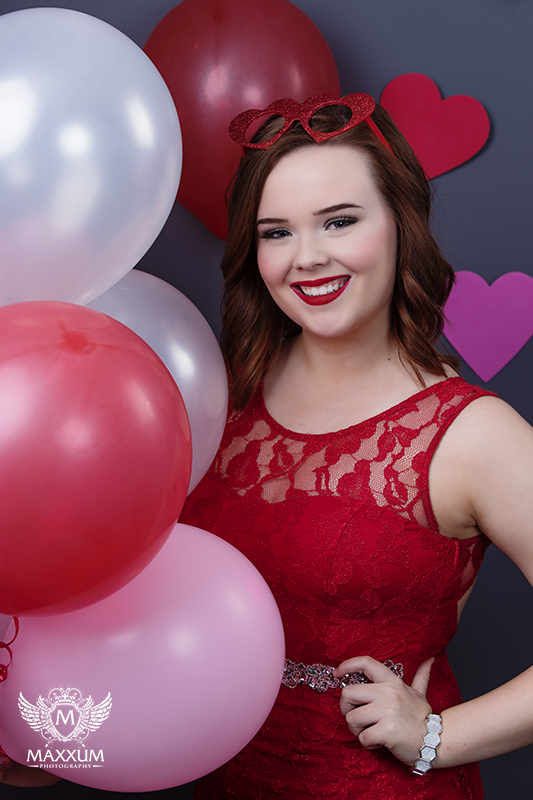 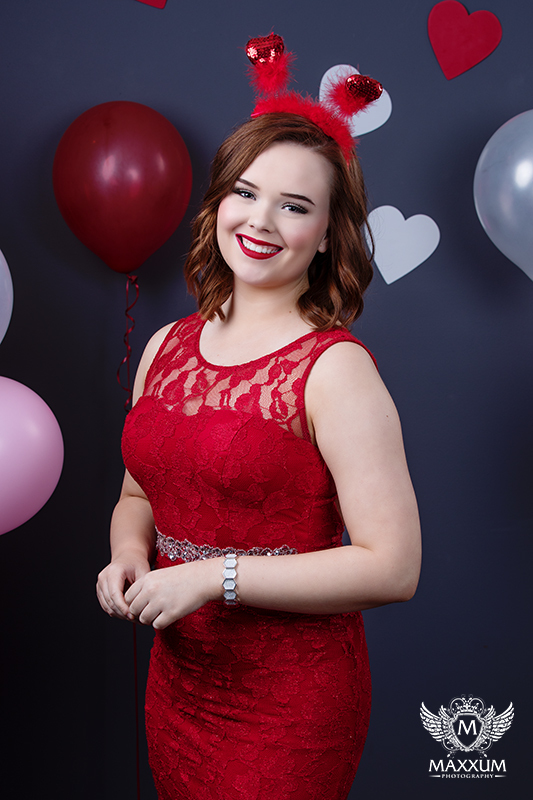 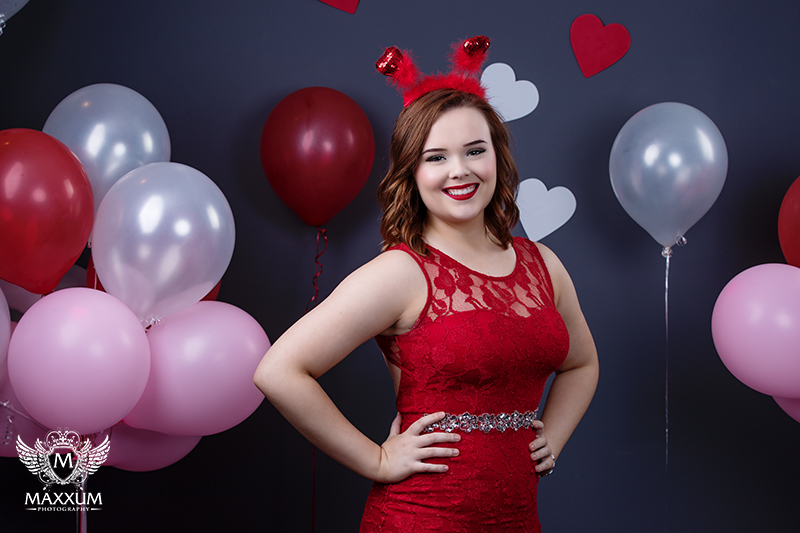 joined us in studio for a fun shoot that featured lots of balloons, hearts, rose petals and other props to create some really cute images to help us celebrate the holiday here at our senior portrait studio in Kansas City. 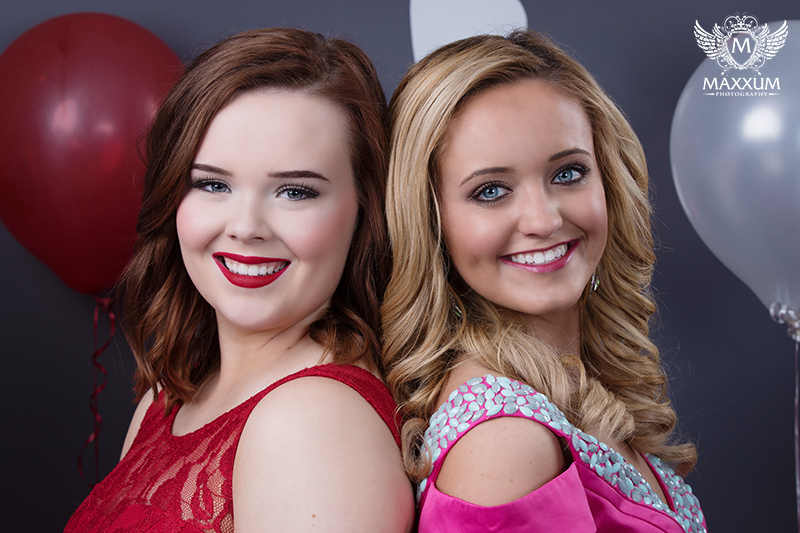 The girls did a great job in choosing the outfits they would wear. 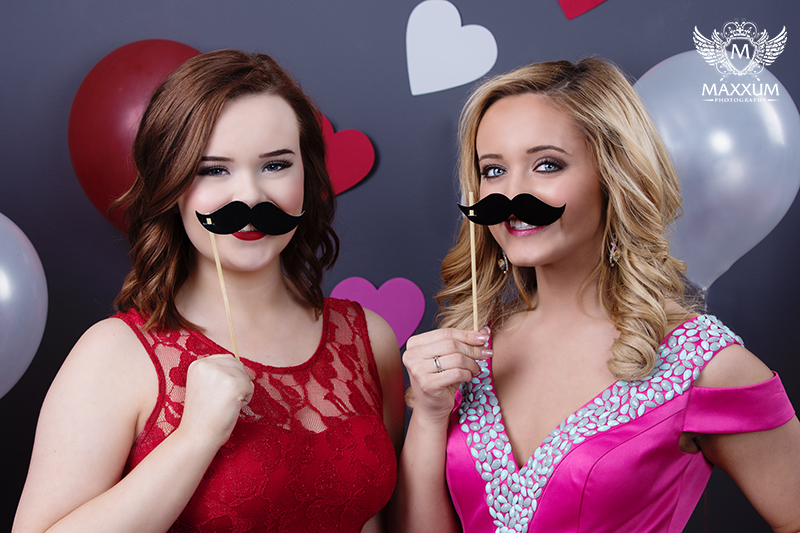 Aren’t their dresses adorable? 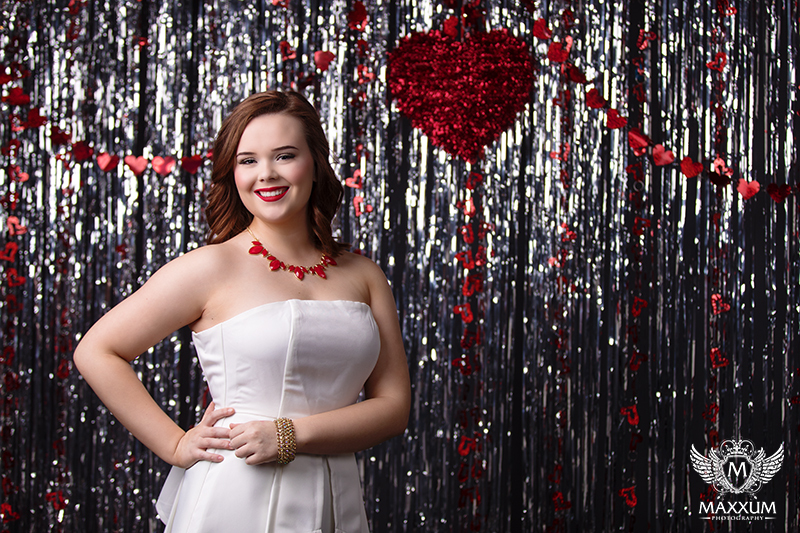 We hope you enjoy seeing the images we created!